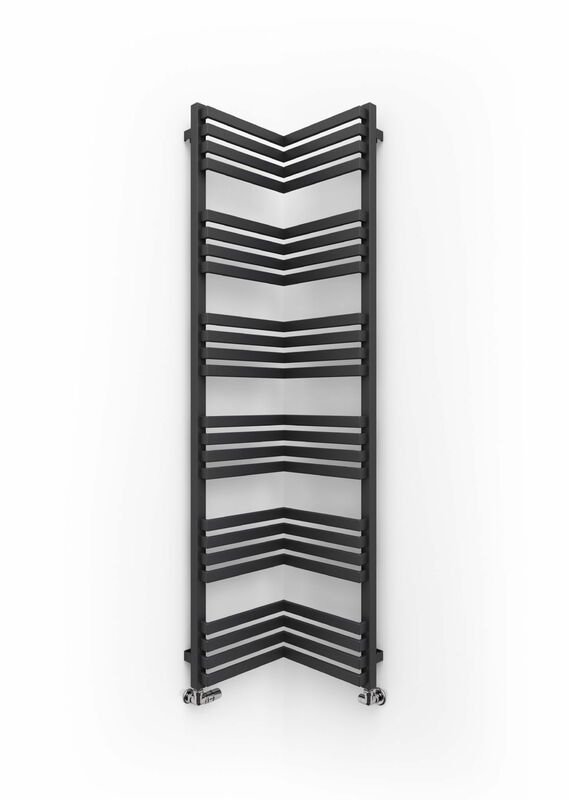 Incorner Heated Unique decorative radiator, ideal solution for optimum space use. 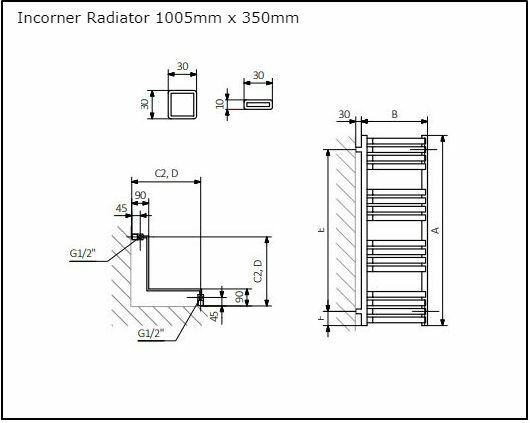 This Radiator is 350mm wide on each side. 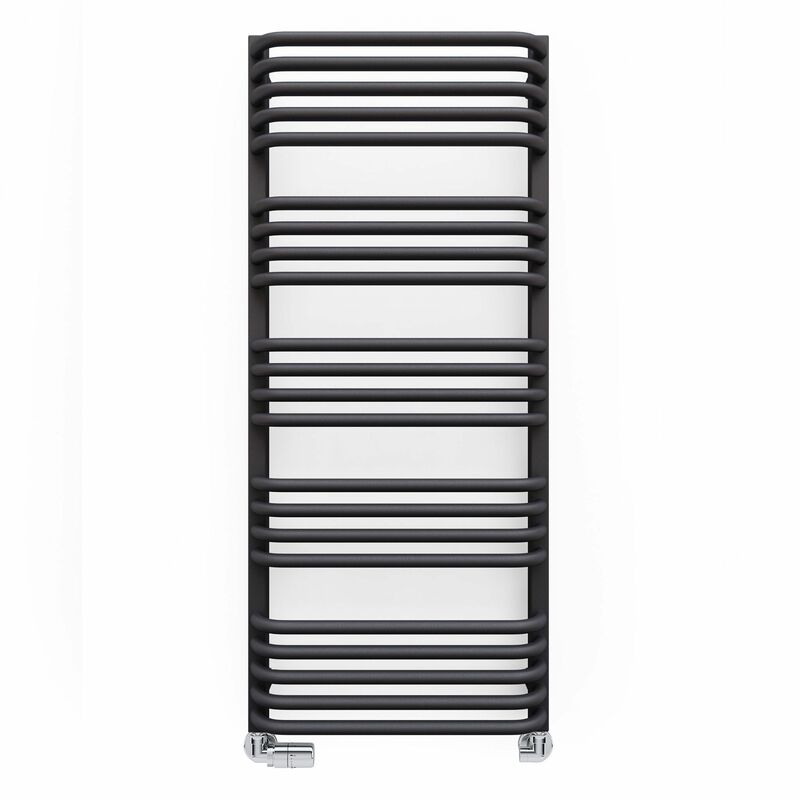 The Incorner Heated Towel Rail from Cast Iron Radiators Ltd is available in 2 heights; 1005mm and 1545mm, in two colour choices - Modern Grey or Chrome Effect. 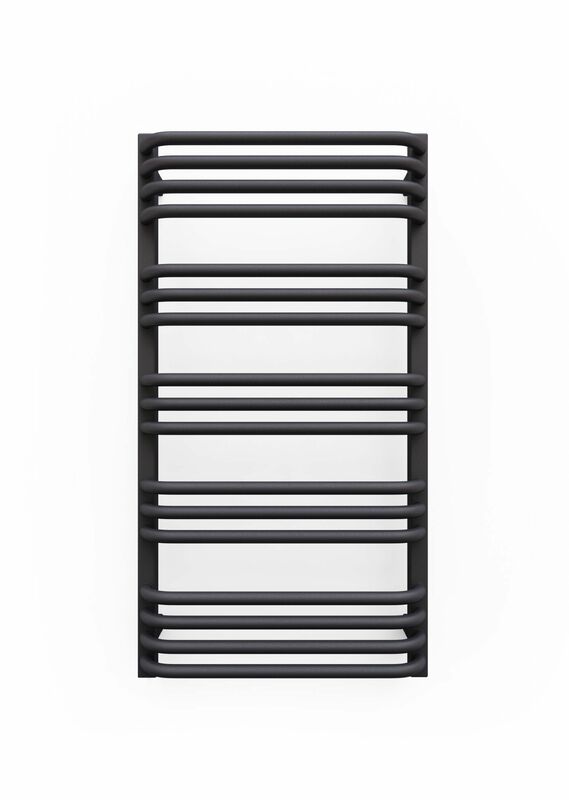 Incorner Heated Unique decorative radiator, ideal solution for optimum space use. 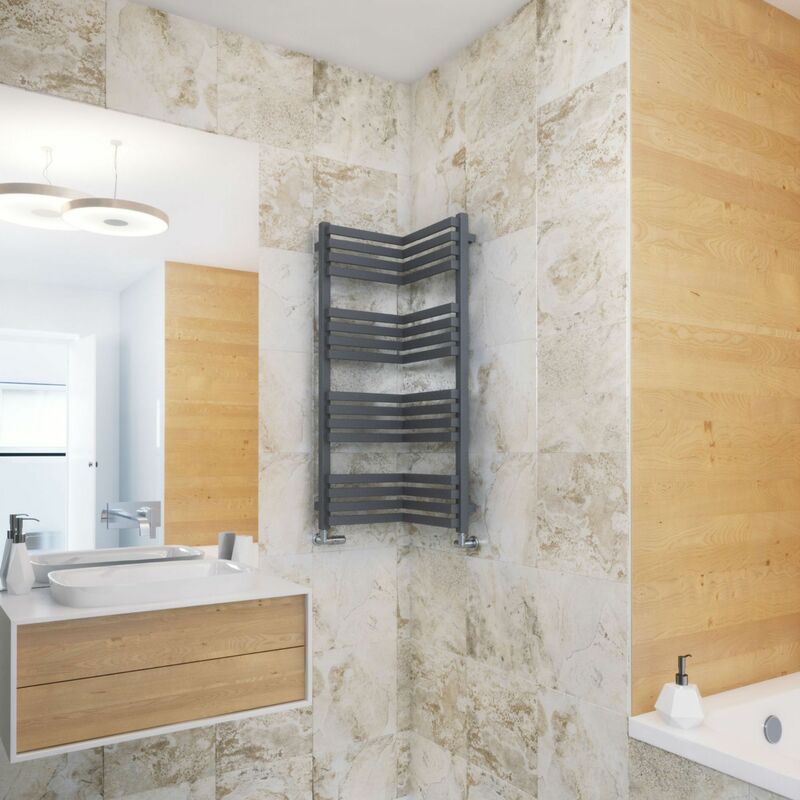 Perfect for small, classic interiors. 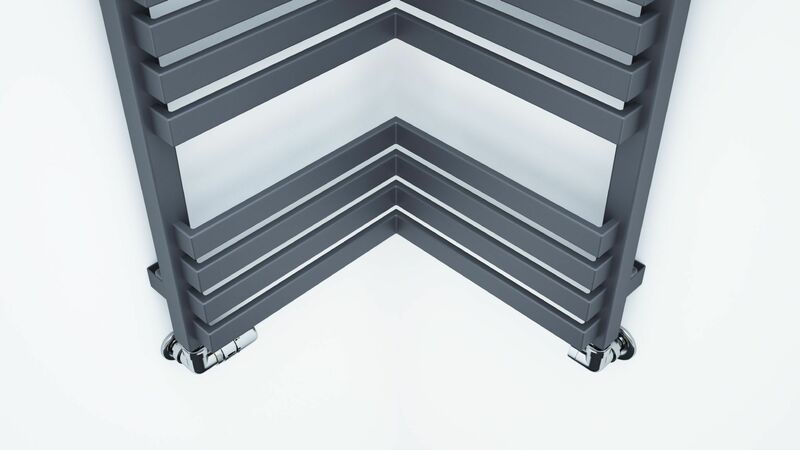 Extraordinary aesthetics as well as interesting and highly functional profile arrangement make Incorner a perfect complement for any room or an eye catcher when juxtaposed with a contrasting colour on the wall.